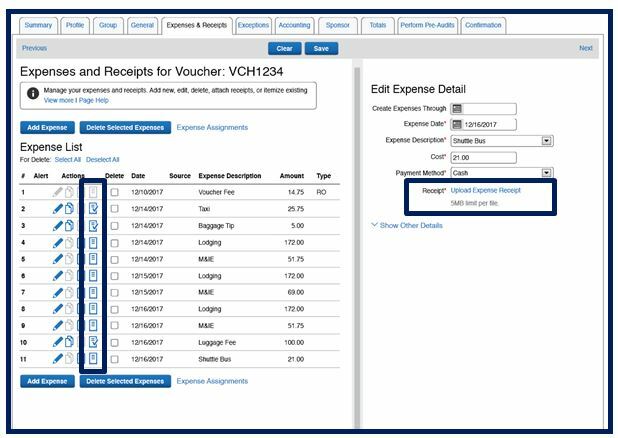 Purpose:To provide a step-by-step guide on New Features Available for Expense Line Item Attachments. Under the previous settings receipts are document-level attachments. The user cannot attach a receipt to an expense. 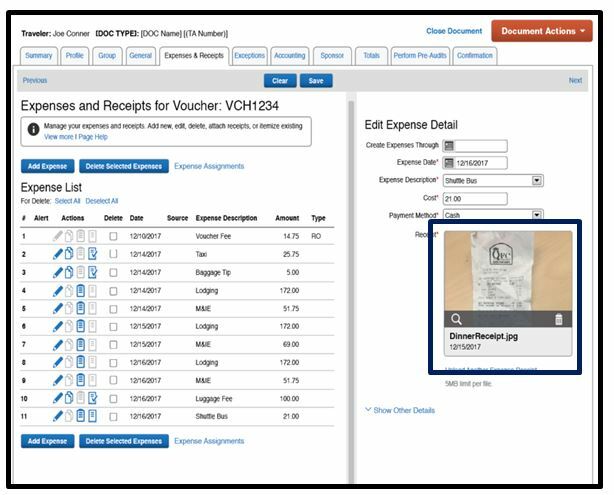 Each attachment or receipt uploaded aggregates into a single PDF file making it unruly for users to manage. Under the new settings users won’t have to open an expense to add a receipt. Document-level attachments are removed from this screen. A new Interactive tile allows the user to launch a light-box or delete the receipt. Clicking on the magnifying glass icon or the thumbnail launches the light-box. 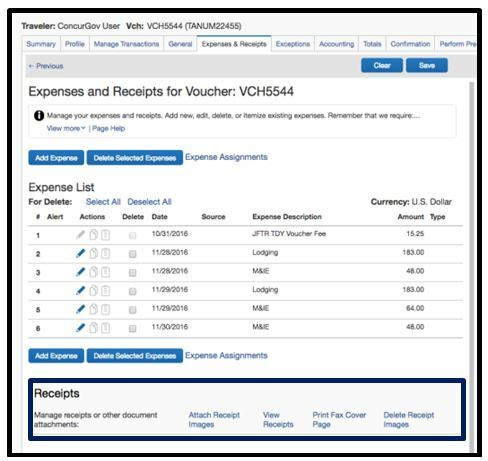 Users can add up to 3 receipts per expense.